The move comes two weeks after ProPublica and the Houston Chronicle reported on pervasive problems in the historic heart program. Update, July 17: The federal Medicare program said Monday that it is moving forward with plans to cut off funding for heart transplants at Baylor St. Luke’s Medical Center on Aug. 17. In a letter to the hospital, the Centers for Medicare and Medicaid Services gave the hospital until the end of the day Tuesday to notify Medicare beneficiaries awaiting hearts at St. Luke’s that the program would no longer be allowed to bill the federal health plan for their care. A St. Luke’s spokeswoman said the hospital has not yet decided if it will appeal. She said the hospital would notify patients and help any who wish to transfer, as required. Update, June 1: This story has been updated throughout. Baylor St. Luke’s Medical Center in Houston temporarily suspended its renowned heart transplant program on Friday following two deaths in recent weeks, saying it needs to reassess what went wrong and determine the path forward. 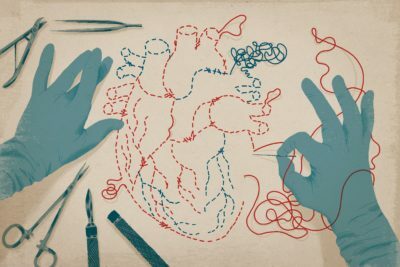 The decision to put the program on a 14-day inactive status — meaning it will turn away all donor hearts during that time — came about two weeks after ProPublica and the Houston Chronicle reported that in recent years the program has performed an outsized number of transplants resulting in deaths and lost several top physicians. Colleagues had raised concerns to hospital leaders about the program’s direction under Dr. Jeffrey Morgan, its surgical director since 2016. A second surgeon, Dr. Masahiro Ono, left for another job this week. Neither Morgan nor Ono responded to requests for comment. For weeks, officials at St. Luke’s and its affiliated Baylor College of Medicine have defended the program, saying they had made improvements after a string of patient deaths in 2015. Officials said the program’s one-year survival rate after heart transplants had reached 94 percent in 2016 and 2017 under Morgan’s leadership. James “Lee” Lewis, a 52-year-old pipefitter from Bay City, Texas, received a transplant on Jan. 2, and he never recovered. Operating room equipment malfunctioned during a key stage of the surgery, and the donor heart failed. Lewis died nearly three months later, on March 23, after undergoing more than a dozen operations and suffering numerous complications, including strokes, serious infections and organ failure. His wife, Jennifer, chronicled her husband’s transplant and drawn-out death on Facebook and shared it with reporters for a story published last week. Another patient, a 67-year-old bankruptcy lawyer named Robert Barron, received a heart transplant on February 27, his son, Craig Barron, told a reporter this week. The transplant seemed to go well, Craig Barron said, but a couple of days later, the donor heart stopped twice, requiring emergency follow-up surgeries and leaving Robert Barron in critical condition. Barron spent weeks connected to life-support machines and seemed to be recovering gradually, his son said. But then in April, Barron began to suffer from serious infections and other complications. A lack of blood flow to his father’s intestines had left them “dead,” Craig Barron recalled doctors saying. Later, physicians informed the family they would need to amputate his father’s leg at the hip to try to prevent infection from spreading. With no hope of recovery, the family made the decision to withdraw care on May 5, more than two months after the transplant. Four days after his father’s funeral, Craig Barron was stunned to read the ProPublica and Chronicle story about problems in the program. “It seemed like nobody could tell us what went wrong,” Craig Barron said. 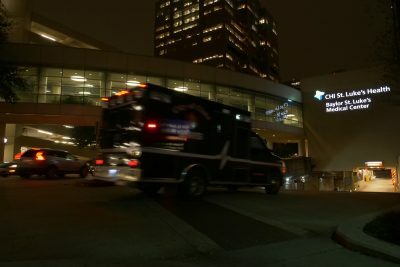 At least one other patient has died in recent weeks, hospital officials confirmed, though the person’s identity was not released. Prior to Friday, St. Luke’s gave no indication of continued problems with the program. The day ProPublica and the Chronicle published their investigation, hospital CEO Gay Nord sent a message to employees: ”We continue to express strong confidence in our internationally recognized heart-transplant program, despite this morning’s media criticism that we believe … in some cases is inaccurate, incomplete and does not represent our quality of care or our expertise in this specialized field of heart transplant,” Nord wrote in the email, obtained by reporters. Neither Nord nor the hospital have contacted the news organizations seeking a correction. St. Luke’s also launched a website, HeartTransplantFacts.org, to counter the story’s findings. On Friday, the site was replaced with a notice about the program’s inactive status. The decision punctuates a dramatic fall for one of the nation’s most respected heart transplant programs. It was at St. Luke’s that famed surgeon Denton Cooley performed some of the world’s first heart transplants back in the 1960s, and where his protégé, Dr. O.H. 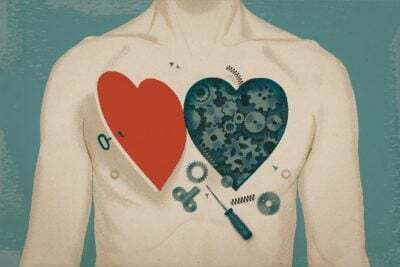 “Bud” Frazier, has pursued a lifelong quest to develop a complete mechanical replacement for the human heart. The hospital says it made changes when outcomes began to decline three years ago. After a string of transplant patient deaths in 2015, the program hired Morgan as its surgical director and became more conservative, removing some higher-risk patients from its waiting list. It is also more selective than its peers in its acceptance of donor hearts. Since then, program leaders said, the survival rate had improved. But by at least some measures, the program continued to struggle. In one of Morgan’s first transplant surgeries at St. Luke’s, in early 2016, he sewed shut one of two major veins that carry blood back to the heart, and the patient died a few weeks later, according to six medical professionals familiar with the case. Morgan declined to comment on the case, citing patient privacy. In another patient’s transplant a year later, Morgan stitched through the other major vein, according to the patient’s cardiologist, though Morgan said the man’s previous cancer treatments complicated the case. After the initial surgery, the blocked vein caused blood to pool in the patient’s head, leading to an emergency repair, weeks of follow-up operations, a three-month hospital stay and ongoing health struggles, including kidney failure. All the while, the hospital continued to market itself as a standout, boasting above-average survival rates and high transplant volume. Some St. Luke’s cardiologists grew so troubled by the program’s direction in 2016 that they began referring some of their patients to other hospitals for transplants. One of those was Dr. Deborah Meyers, the medical director of the heart failure program at St. Luke’s until early 2017, who said she raised concerns both before and after Morgan arrived, but believed she was ignored. Last month, Meyers wrote a letter to Nord, the CEO, defending Frazier, who created the transplant program in 1982 and was the subject of another story by ProPublica and the Chronicle last week. In her letter, she was harshly critical of what the transplant program had become since CHI purchased the hospital in 2013. Over decades, Bud Frazier has played a leading role in the development of mechanical heart pumps and an artificial heart. Out of public view, he’s been accused of putting his quest to make history ahead of the needs of some patients. “In my opinion, the shocking story of the Baylor St Luke’s CHI transplant program is one of greed, careerism, corporate takeovers, appalling administrative oversight, failure of leadership, poor hiring practices, completely avoidable lawsuits, and the inevitable public distortions of their underlying mission, all of which have occurred as medicine has become perverted into ‘big business,’” she wrote to Nord, indicating that she intended to share the letter with a ProPublica reporter. Nord, in her reply, implored Meyers not to send the letter to the reporter. “The only ethical thing to do is stop the program right now,” she said. Across the country, other hospitals have suspended their heart transplant programs in order to make changes and then reopened them. Thomas Jefferson University Hospital suspended its heart transplant program for several months in 2016 while it recruited new surgeons and cardiologists. The Medical University of South Carolina suspended its program in 2014 after a patient died and other transplant recipients had weak hearts; it resumed the following year. St. Thomas Health in Nashville suspended its heart transplant program in 2011 when key staff left. It took five years to restart it. During the suspension at St. Luke’s, officials said they will continue recruiting surgeons “to strengthen the program.” A newly created special committee of the hospital’s board of directors will also conduct a comprehensive review. The move will not affect other heart-failure procedures, such as heart-pump implants, or any other transplant programs across the hospital. Judy Kveton said she was happy to learn St. Luke’s was pausing to make changes. Her husband, David Kveton, died in February 2017 a week after receiving a heart transplant at St. Luke’s. Two months later, she received an anonymous letter outlining problems at St. Luke’s and indicating her husband didn’t receive the care he deserved.